Summer rock releases tend to the drab, but this year’s have been quite interesting—if you think of rock as a continuum, and not merely as a present moment that by definition erases the past. My summer listening broke down into four self-selecting categories: two new summer songs, several reissued Fleetwood Mac records, some reissued Phil Spector sides and new reggae. The proof of a summer song is in the correspondence between its story line and its release date, and as such there was only one real summer song this year: Thin Lizzy’s “The Boys Are Back in Town,” which appeared just as summer opened and hasn’t worn out yet. Those clichéd and classic chords and that it-could-be-anyone vocal kept it alive. The hell with the music, though. Everybody knows all rock critics care about are lyrics, and the lyrics to this song are very odd. It’s no accident my kids confuse “The Boys” they keep hearing about on the radio with the Beach Boys: “The Boys Are Back in Town” comes on like the Beach Boys’ ’64 summer masterpiece, “I Get Around” (as opposed to this year’s summer non-master­piece, I Got Around, otherwise known as 15 Big Ones)—but that’s only the way it comes on. “I Get Around” was about comradeship, about involvement: you imagined the guy singing it from the seat of a Corvette, probably with his legs wrapped around the gearshift and two pals in his lap. “The Boys Are Back in Town,” on the other hand, is about distance, about fantasy. Unquestionably, the singer is not one of The Boys—in fact, you get the feeling The Boys just might take him apart if they knew how he was throwing their names around. To the singer, the Boys aren’t buddies, they’re supermen. Certain questions arise. Assuming this song is set in Great Britain, or Ireland—and it must be, because Americans don’t “fall about,” they fall down—if “the boys are back” (there’s no way to set that to make it look like a whisper), where have they been? Looking for work in West Germany? Going to college? (Oh, sure. There are some unmentionable subjects in rock & roll, and college, aside from Bob Dylan’s exception-proves-the-rule reference to “the old folks’ home,” is one of them. You’re not even allowed to imply it.) No, The Boys are full-blown myths. Note the line, “Won’t be long ’til summer comes, now that the boys are here again,” with the astonishing suggestion that by their very arrival on the scene The Boys can cause the seasons to change! A critique of this song doesn’t belong in Rolling Stone it belongs in The Golden Bough. “Johnny,” who gets his face slapped, is a modern-day version of the King of the Wood whom Sir James George Frazer placed at the center of all mythol­ogy; note the words, “If that chick don’t want to know, forget her” (if she don’t want initiation into the ancient mysteries). The singer dreams of taking Johnny’s place, just as thousands of years ago one would have dreamed of supplanting the King of the Wood (it was simpler then: if you killed the King, you did replace him). The King of the Wood was real, once; so was Johnny—once. Not anymore, though. “The Boys Are Back in Town” is a product not of reality but of rock myth; by means of incantation—that dare-we-speak-their-name whisper again—it seeks to restore to rock language the simple reality captured so effortlessly in “I Get Around.” But by placing the narrator outside the story in which he longs to take part, Thin Lizzy gives the game away. Peter Townshend would have made it explicit: this song is sung by a stubby 16-year-old who has no money for dates, and only one friend, who has a bad case of TB and is only let out of the house to go to church. Dino’s Bar and Grill serves fish and chips, and nothing else. At least the Beach Boys did get around, even if that was a long time ago; the singer of “The Boys Are Back in Town” can only dream about it, and, vulnerable to an analysis capable of turning up their contradictions, even his dreams betray him. Has it come to this? The other summer song—a summer song just because it’s so alive—is Vicki Sue Robinson’s “Turn the Beat Around.” Aside from being the best Top 40 disco since Shirley and Co.’s “Shame, Shame, Shame,” and one of the five sexiest records of modem times, it also has very interesting lyrics, when it has lyrics. In particular, the long middle vocal passage—the one with more than two lines—contains a rejection of the blues as brutal as any in all of black music. “You can play, you can play your blues chords,” sings Vicki Sue with great disdain, “But you see I’ve made up my mind about it—Got to be the rhythm, no doubt about it!” You can call it musicology or you can call it philosophy, but she’ll see the bluesman at his funeral, if she has nothing better to do that day. I don’t think this was quite the epitaph the blues were looking for, but then, they’ve survived all previous ones, and they’ll probably outlive Vicki Sue; in the meantime, their presumed interment has provided a verbal hook for one of the most exciting records of the year. 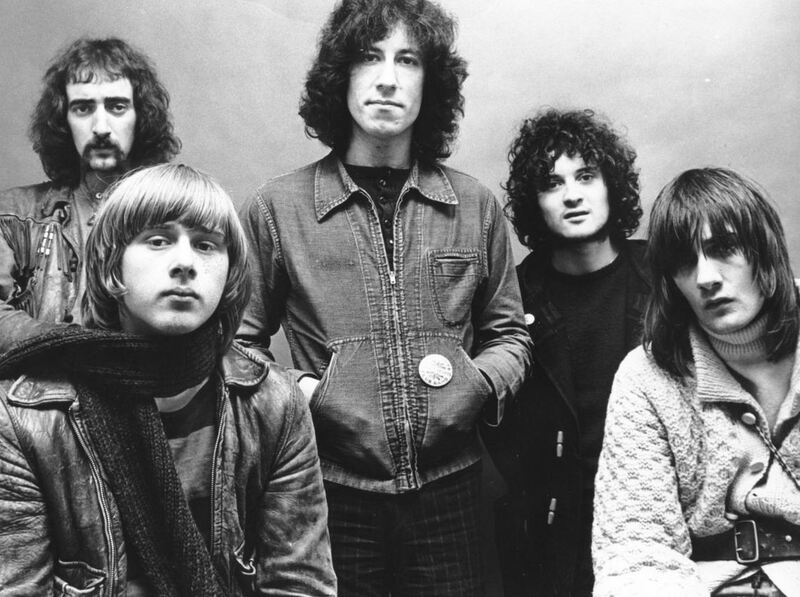 Thanks to the near-permanent success of the current Fleetwood Mac LP, virtually all the band’s pre-Warner Bros. material—featuring guitarists Peter Green, Danny Kirwan and Jeremy Spen­cer—is back on the market. The best stuff is to be found on Fleet­wood Mac in Chicago (Sire), a double album cut in ’69 at the Chess studios, with real-life black bluesmen sitting in. A year ago, when this album was out of print, it was selling for 20 bucks, and it’s worth it. The Fleetwood Mac that cut this album was a rough, derivative band, full of enthusiasm and committed to their music (they showed their scholarship with their first single, “Rambling Pony,” a slight rewrite of an unearthly version of “Rollin’ and Tumblin’,” cut in 1951 by Muddy Waters, Little Walter, and Leroy Foster; they also showed their limitations, because they couldn’t handle it). The shade of Elmore James smiled on the band, and never more so than on Chicago, when Jeremy Spencer cut loose with four straight live-in-the­studio tributes; as a singer and as a guitarist, he met his master on almost equal terms. “Madison Blues”—despite the fact that Mick Fleetwood can’t find a beat—is a celebration of everything in the blues that winks at pain, with fine, loping tenor sax from Chicagoan J.T. Brown and beautifully free guitar work by Spencer; “I’m Worried” and “I Can’t Hold Out” both feature the classic Robert Johnson riff out of which, as Peter Guralnick has written, Elmore James made a career—he and Spencer, that is. These cuts soar; they are glorious. The guitar rings, flies out of the band, with Willie Dixon highlighting the best moments with the subtlest, most precise little touches on his string bass, and though there may be more to rock & roll than this, listening, one feels there doesn’t have to be. As for the singing—well, no white man ever threw away the last word of a blues lyric with more flair, or more humor, than Jeremy Spencer, who has since thrown it all away for God. Most of Chicago is appealing, but “I’m Worried” and “I Can’t Hold Out” are small works of art. The early Fleetwood Mac had its own sound. Christine McVie has had hers since she released “Spare Me a Little of Your Love” on FM’s 1972 Bare Trees LP, but on the evidence of The Legendary Christine Perfect Album (Sire), cut when she was between Chick­en Shack and FM, she didn’t in 1969. I’ve found McVie irresistible over the years, probably because in looks and voice she’s the closest thing in rock & roll to Blythe Danner, but none of the talent for melody, arranging of vocals and instrumental textures, or pure heart-on-her-sleeve brassiness that has given her recent work its strength is present on Perfect. There are good tunes—“Wait and See,” which reminds me of Donovan’s “Bert’s Blues” in feeling, and a remake of Etta James’s “I’d Rather Go Blind”—but fans McVie won with “Over My Head” or “Say You Love Me” would do better to dig up the likes of Penguin and Heroes Are Hard to Find. Ever hear “Remember Me“? 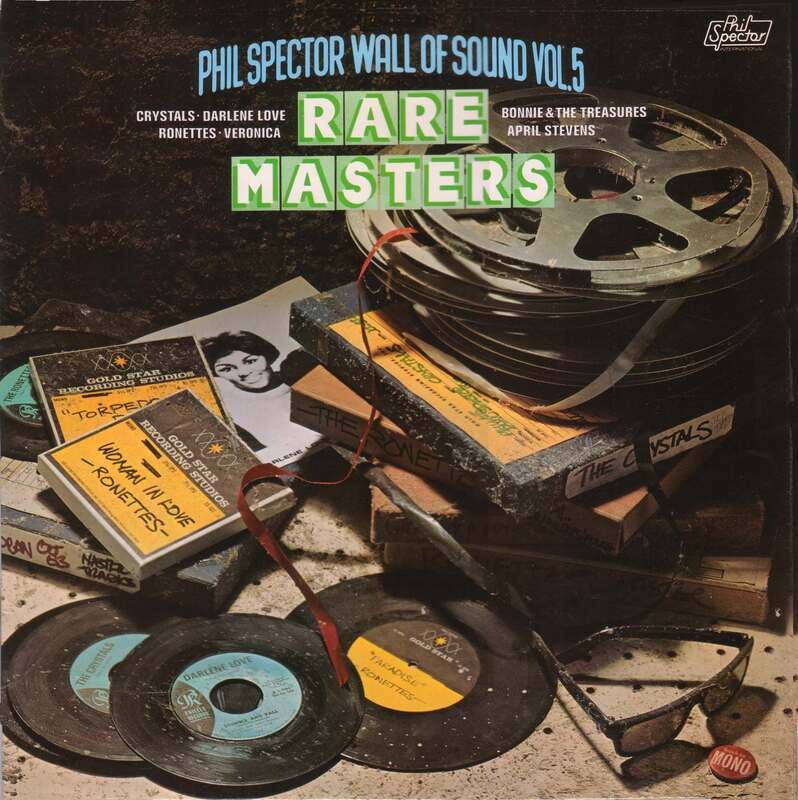 Rare Masters is the album Spector fans have dreamed about: a reissue of terribly obscure discs combined with material that has never been released at all. There is “Paradise” by the Ronettes (also released in the United States as a 45 on Warner/Spector), which shimmers like the mist lifting off a mountain, but somehow never goes anywhere musically, and “(I’m a) Woman in Love,” also by the Ronettes, in which, at least by implication, Ronnie Spector pledges allegiance to the entire male half of the human race. Ah, but “All Grown Up”! Here’s an unreleased version of the last Crystals record, the pale official take of which is on Yesterday’s Hits Today. “I can go where I want to go,” they sing, and they even sing “I can see who I want to see” so it sounds a little bit like “sleep where I want to sleep,” but first and last you hear that sound, warmer, somehow, than before, with one signature note on the piano from Leon Russell and a tidal wave from everyone else. There’s a term in gospel music called “good news”—this is the same thing, boiled down to rock. And then there is “Strange Love,” by Darlene Love, which is a very strange record: it starts slowly, hits a peak you think can’t be touched again, dies down, and climbs once more, all the way. It doesn’t sound quite real; it sounds, in fact, as if Dar­lene is about to consummate a marriage with Zeus, and though she has doubts she can’t kill, it’s too late to back out. Here, the mist doesn’t lift off the mountain; it settles over it. I have no space to touch on the many reggae releases of the summer; two comments only. First: though deeply compromised to reach a mass audience—bland politics, and a lot of stuff that fades too neatly into soul music, circa 1967—Reggae Got Soul (Island) is one of the finest albums Toots and the Maytals have made, and “So Bad” one of their most exhilarating recordings, with a wonderfully rich feel to its sound, and backup singing to save Toots’s soul, even if some people think he’s auctioning it off. Second: Burning Spear, the latest reggae in-group, whose singing is as cold as Toots’s is warm and Marley’s is messianic, has released Garvey’s Ghost (Mango/Island), a dub (instrumental) album that is nothing more than the tracks to their previous LP, Marcus Garvey, mixed into a new balance. I think it’s their best work, and their strongest—moody, threatening, mysterious, and somehow deeply calming. Everything that’s jarring and off the mark in Marcus Garvey or Burning Spear’s new album, Man in the Hills (Island), is resolved on Garvey’s Ghost into a single, unbroken texture: the quiet, unassuming statement of men who mean to offer comfort with the right hand and menace with the left. Here, with their voices silent, they do just that. Good music for a summer, and, given that this record both rejects the real world and reveals it, good music to end it with. This entry was posted in Singles & Song Reviews and tagged Burning Spear, Fleetwood Mac, Greil Marcus, Phil Spector, Rolling Stone, Thin Lizzy, Vicki Sue Robinson. Bookmark the permalink.